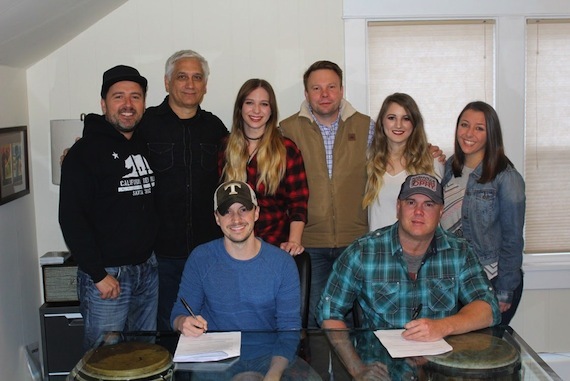 Songwriters Greg Bates and Skip Black have signed with Liv Write Play Publishing. Black moved to Music City in 2007 from North Carolina and started a publishing deal with Nashville Songwriters Hall of Famer Kye Fleming the same year. He has had cuts with Gary Allan, Edens Edge, LOCASH, Craig Morgan, Eric Paslay, and Drake White, among others. In addition, Live Write Play has hired Victoria Goodvin as Creative Director. Goodvin was previously creative manager at Row Entertainment and Song Factory. Originally from Princeton, North Carolina, Goodvin graduated with a B.A. degree in Entertainment Industry Studies from Belmont University in 2013.